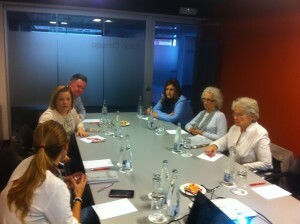 The Spanish Association for Primary Immunodeficiencies (AEDIP) had a board meeting on the 14th of November to evaluate this year’s activities and plan their strategic objectives for 2016. The officers approached very important topics pertaining to access to care across Spain but most specifically in Galicia (northern Spain) where the current medical services for Primary Immunodeficiency (PID) patients are very deficient. AEDIP’s annual medical awareness meeting will this year be hold in Galicia as will some of their World Primary Immunodeficiencies (WPIW) events. The group is also planning to update their website and to issue a publication regarding Hypogammaglobulinemias. To reach all these goals the group is also evaluating the best way to grow and to make their actions more visible to public entities.